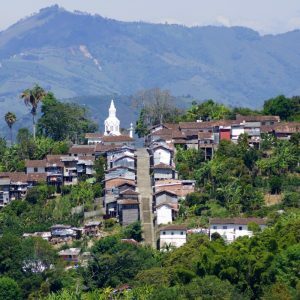 The Colombian Coffee Growing Axis or Coffee Triangle presents us a wide array of distinctive and unique close-set villages that together produce a never-seen-before experience. Every step over its intricate mountain range is a feast for the eyes. On one side of the hills, bamboo called in Colombia “Guadua” extends into forest fragments, while in the other beautiful Yarumos provide leafy cover to a numerous array of crops and the mountainside brims with plantations of the world’s softest and most aromatic coffee. 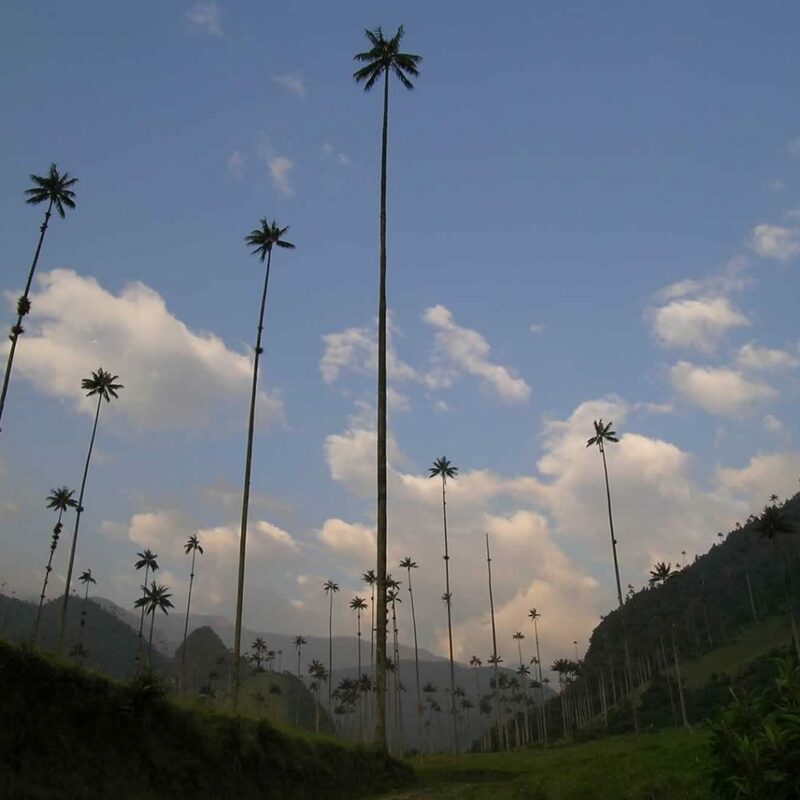 Here and there are found the imposing and impossibly high Palmas de Cera (Wax palm, Ceroxylon quindiuense) –the Colombian national tree, which protrudes from the characteristic Andean jungle that blankets this entire region. Every town and every city is brimming with attentive and careful inhabitants that are sure to wave you through and try to at least say hello using sign language. The ‘paisa’ culture is without a doubt one of the most traditional and kindhearted in Colombia. The mixture of kind people and spectacular views in this huge expanse will transform your Colombian voyage into life-lasting memories and unforgettable experiences of the ‘paisa’ region and way of living.